Multi-purpose, high impact goal is constructed from 1-5/8" PVC tubing. 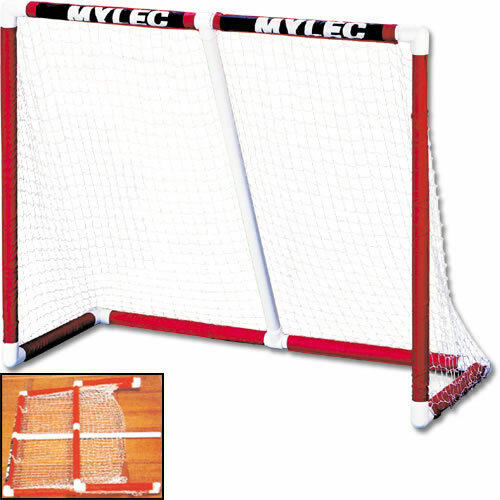 Features a "sleeve" netting system that slides easily over the tubing of the goal. A center pipe is included for added strength and support. Quick and easy assembly. Folds easily for storage. 44"H x 54"W x 24"D. Weighs only 7 lbs.